“I can’t do it, Mom, I just can’t,” he said as his blue eyes welled up once again. Yet another day where our math lesson ended in frustration and tears. So many doubting thoughts came flying in determined to crush my mama heart. 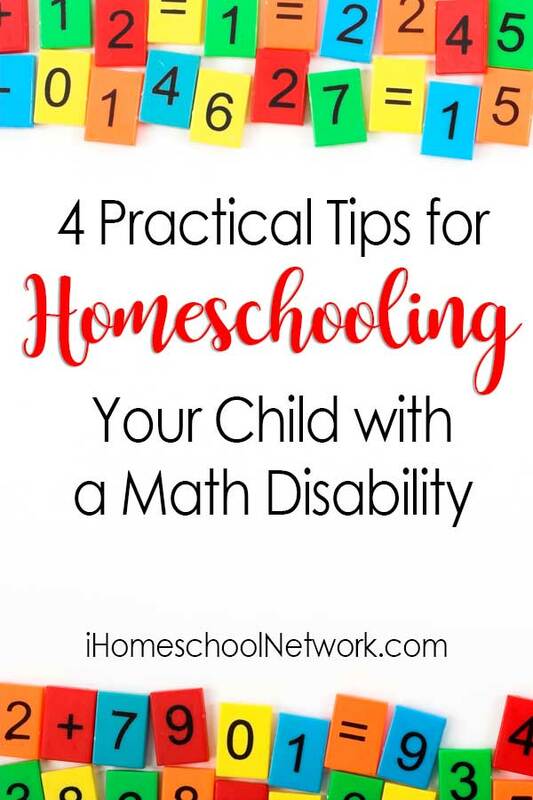 Mom if you find yourself homeschooling a child with a math learning disability—or you suspect that you are—I want to offer you practical help today! Okay, mom, I know. If I had someone telling me to embrace feeling completely overwhelmed and frustrated, I just might cry too! But hang in here with me. I promise I’m trying to help! You are (both) feeling stretched and frustrated for a reason. The reason is not that you are a bad mom, an awful teacher or that you are doing it wrong. No, the reason is that your child has a very valid struggle going in their brain. It can be called a math learning disability, a specific learning disability in math or dyscalculia, but that doesn’t change the daily battle that your child faces and the frustration you feel as mom. It wasn’t until our child was in fifth grade that I fully embraced where we were at. I spent so much time trying to figure out what I was doing wrong that I never accepted that we were facing a real challenge – not just my inadequate abilities :). When I did, I changed my focus. I now look at how I can help fight alongside my child instead. For me, this came from an actual diagnosis. But I’ll be the first to say that the actual diagnosis didn’t change anything. What it did do is help shift my perspective and that is what changed things. If you can take the steps to receive a diagnosis and that’s what you want to do then go for it, it may be the shift in focus you need as well. But Mom, if you can’t, don’t waste any more time spent doubting. I wasted a lot of years there. Rather, embrace where your child is at and come alongside them with some of the tools we’ll talk about next! In my stages of doubting myself as a homeschool mom, I switched math curriculum, often. It was one more of those variables that I was trying to rule out to fix the problem. Instead, I wish I would have learned about Math learning disabilities and studied my child. Talking with others who are walking through the same thing would also have been incredibly helpful! That being said, there are certainly times where it’s good to try out another math curriculum when dealing with a math learning disability. Once you embrace where you are at and learn about the disability, you will likely be able to make a much more effective decision on if it’s working or not. Sometimes a switch is just what is needed to master a concept. One of the most encouraging things someone once told me was to focus on the basics. It is okay if my child doesn’t go on to learn advanced math. Often children with a disability are gifted in other areas that don’t even pertain to math. If you focus on building their foundation with the basics of math, you will help prepare them for a solid future. Does a math learning disability mean they won’t go on to more advanced math? No. But if they don’t you can be okay with knowing that you built a strong foundation for them to have solid life skills and set them up well for the future. One of the biggest struggles with my child isn’t just the math itself. It a child’s heart that automatically feels less than. It’s such a good idea to try to find ways to build up and encourage them as they learn, struggle, learn, and repeat. Build them up and encourage them in every other way that you see they are gifted. So often if they struggle in math, their giftedness shines in some other area. Take notice of it. Ask questions and compliment them sincerely. Show them that you care enough to take time to learn about their passion or area of giftedness. All kids have them. Let them know that everyone has strengths and weaknesses. Theirs just may look different than someone else’s, and that’s okay with you. Now it’s your turn! What’s your favorite way to encourage your child who is struggling with a math disability? Let me know in the comments below. Lee is a Daily redeemed Christ follower, Wife of 19 yrs, Mom to 5 Treasures, Unexpected Homeschooler and Avoider of Small Talk. 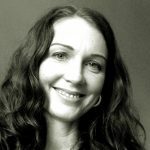 She's a Faith-Based Blogger + Lifetime Encourager who writes and creates over at Like Minded Musings. Her passion is to Encourage + Equip Christian Women and Tween Girls to Embrace Imperfect & Radiate Christ!